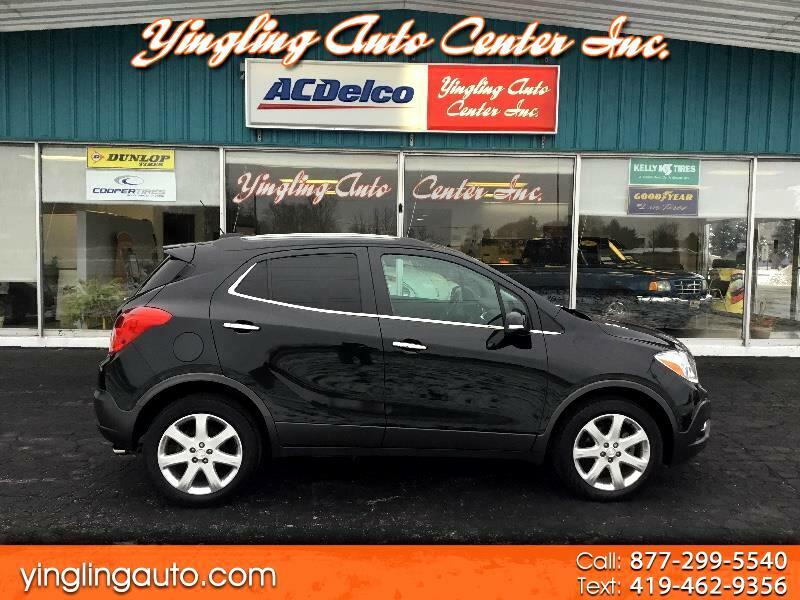 Used 2015 Buick Encore Leather AWD for Sale in Bellevue OH 44811 Yingling Auto Center Inc.
Just In On Trade One 2015 Buick Encore Awd With The Leather Pkg, Carbon Flash Mettalic Paint & Black Leather Interior, Just 29,742 Miles, Clean Car Fax, Loaded With All The Features, 1.4 L Turbo 4 Cyl, 6 Speed Automatic, Sunroof, Navigation, Remote Start, Heated Seats, Backup Camera, Side Blind And Rear Cross Traffic Sensors, Balance Of Factory Warranty, So Many More Options, Come And Check This One Out!!! Visit Yingling Auto Center Inc. online at www.yinglingauto.com to see more pictures of this vehicle or call us at 1-877-299-5540 today to schedule your test drive. Stop in and find out why people say it's fun to buy at Yingling Auto Center Inc. Despite our Best Efforts to provide the most useful and accurate information regarding our vehicles, errors may appear from time to time. Please confirm with us any details that are important to your purchasing decision such as vehicle options and price. We want you to be completely satisfied. Sales Tax, Title, License Fee, Registration Fee, Dealer Documentary Fee, Finance Charges, Emission Testing Fees and Compliance Fees are additional to the advertised price.